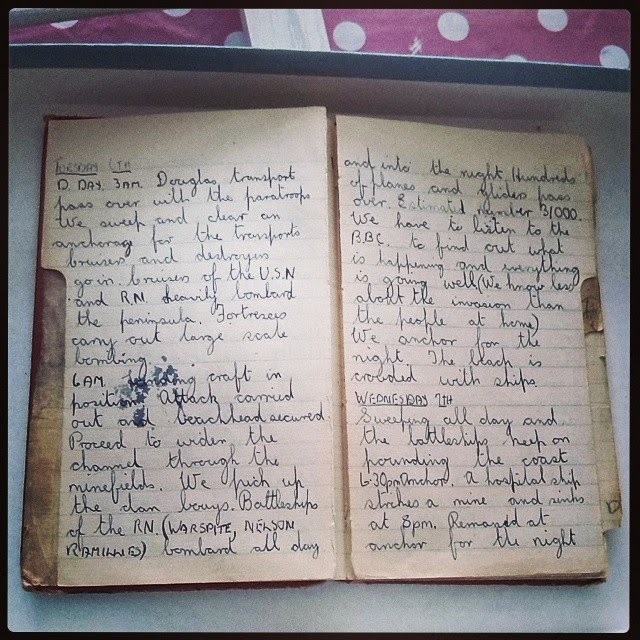 This is from my Grandad's diary 70 years ago today. Thinking of all the heroes, whatever role they had, in helping us have our freedom today. What a priceless treasure, that diary. Incredible. Wow! An amazing tribute in just a few words. Thank you. Very interesting to read. Thank you for sharing. What a fantastic piece of history. Definitely something to treasure. Hang on to that notebook - that is precious. i love that your granddad kept a journal! no one seems to do that as much these days - except the blogs...which arent private! ha! and i dont think the blogs will be as precious as that notebook or last as long!